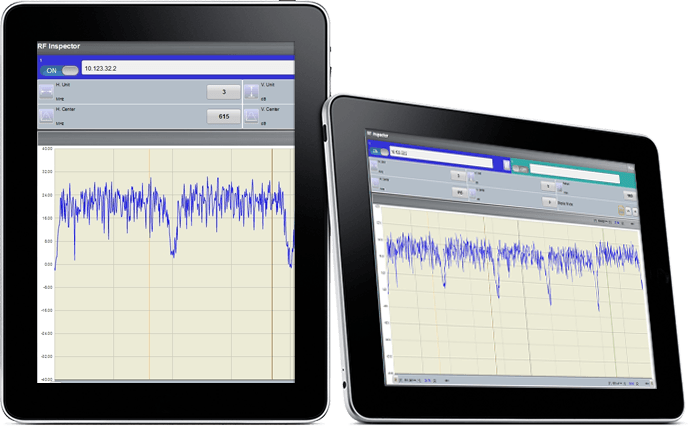 Remote Spectrum is a downstream spectrum analyzer app that lets you view the live spectrum passing through a customer’s cable modem or set-top box right on your PC, laptop, tablet or smartphone from anywhere in the world. It uses full band capture to display the full spectrum for all data and video channels. It’s like having a spectrum analyzer right at the customer’s location that you can instantly connect to whenever you like, wherever you are. There is no need to connect a meter, no expensive probes in your network, and no need to roll a truck into the field in a trial and error search for the problem. With Remote Spectrum you will lower your equipment and operational costs and reduce your mean-time-to-repair. If you’re looking for Downstream Spectrum Monitoring that proactively tells you which devices are experiencing common RF issues, check out SpectraVizion. Most everything is cordless, right? Why not meters? 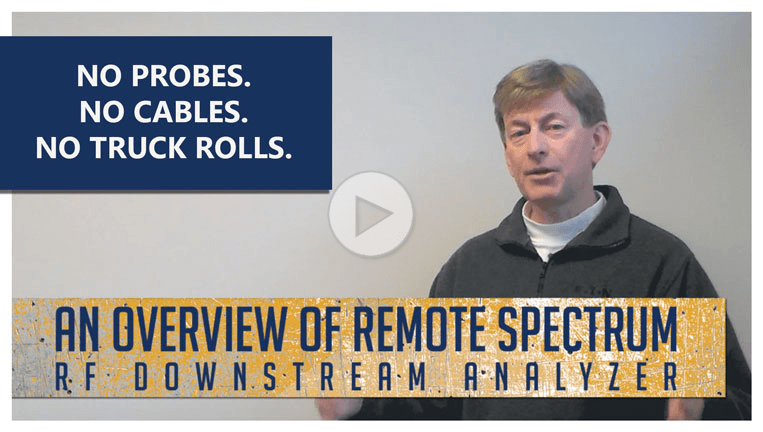 With Remote Spectrum you don’t have to lug and connect a meter or any other proprietary equipment to do full spectrum analysis at a customer’s home. In fact, you don’t even need to be there. You can view the full spectrum levels on a tablet anywhere you have Internet access. Remote Spectrum uses a DOCSIS-standard feature in newer cable modems and set-top boxes that allows for full spectrum capture. That means spectrum details for all digital channels. Yes, that means all data and video channels right there on your tablet. Plus, you can easily overlay and compare the readings from two different homes right on the same screen. Try doing that with a meter. Our Remote Spectrum server-side administration software resides in your facility, where it securely communicates with the compatible CPE on your network. You control who can view the spectrum data via the Remote Spectrum app. In short, Remote Spectrum is like having a spectrum analyzer right at the customer’s location that you can instantly connect to wherever you are. Think about the test equipment you won’t need to buy. Think about the trucks you won’t need to roll and increase efficiency of your maintenance technicians in the field. What would that mean to your bottom line? Not to mention faster repairs in the field and less hassle for your customers. Have I got your attention? Ready to ditch your meter for Remote Spectrum?